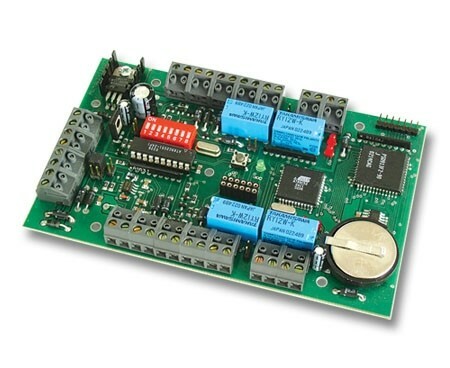 Autonomous control unit is used for the control of two two-sided or up to four one-sided entrances. AL40 is a basic construction unit of a middle-sized access system. The electronics itself is placed within a metal case with a tamper contact and is installed into a hidden place. For individual inputs the AL40 is connected to scanners EDK2, EDK2B or any scanner with Wiegand output. EDK3 scanners with the PIN entry option can also be used for increased security. This solution conception offers a comfortable installation and high resistance to attack or mechanical damage. Another advantage is that the system works independently on ID media type – the unit processes only scanned data and can therefore operate both with the Dallas chips and various contactless cards, depending on the type of connected scanner. Up to four scanners can be connected to AL40. For each scanner, access right and conditions for switching on of output relays controlling electromagnetic door locks, turnstiles, etc. can be defined independently. When an ID medium is approached, the access right of the passing person is assessed. If the passing person is authorized to enter, the relay will switch on and open the door. Operation statuses (granting or denial of entry) are signalled by optical and sound elements within the scanners. 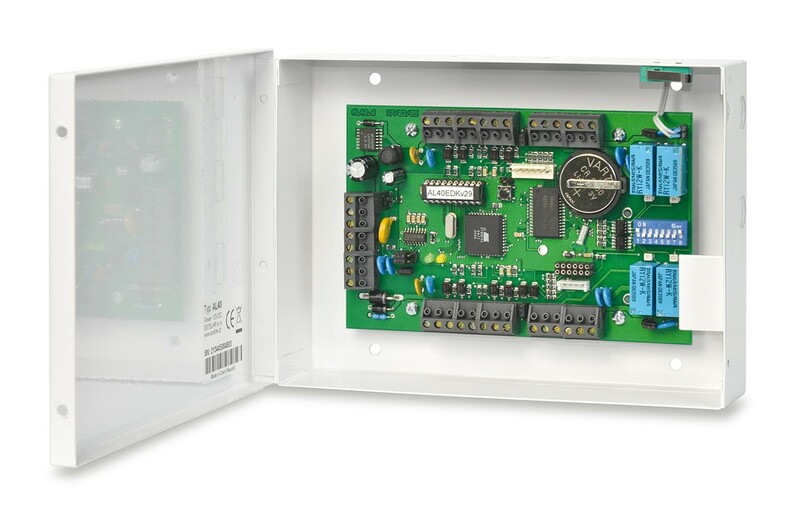 AL40 is also equipped with two inputs for door contacts and can therefore monitor current door status and initiate alarm when the door is opened violently or not closed after passage of an authorized person. Information on passages and door status is saved in the internal backup memory and then transferred onto a computer for further processing. All operation characteristics can be set directly from the computer.